I made a trip in Mondays snow storm to find fabric for a special project I am working on. 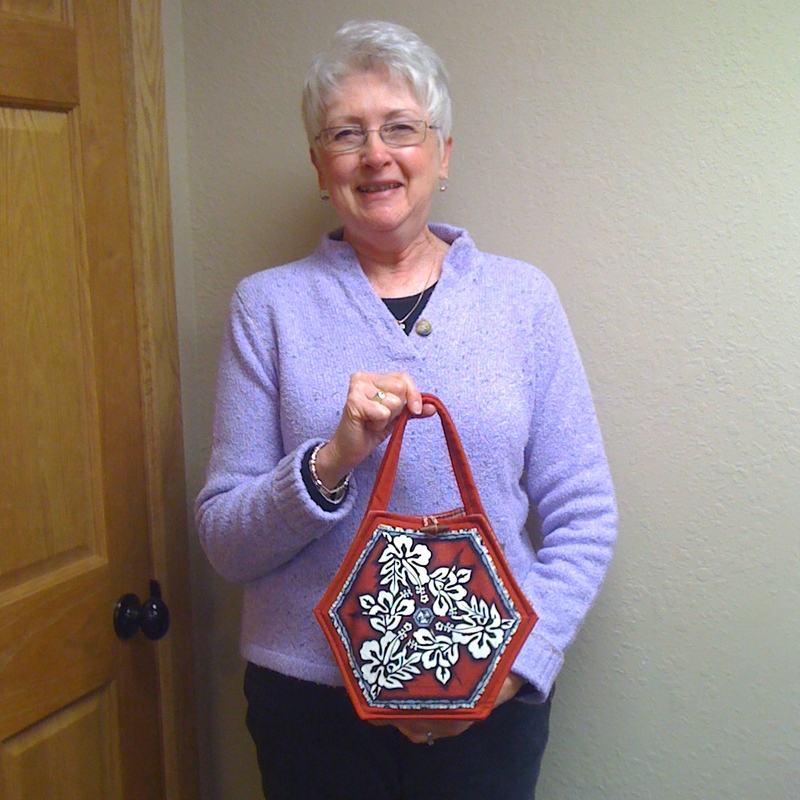 I went north to Sew Pieceful Quilting in Tomahawk WI. I found exactly what I was looking for and MORE . . . There was a group of ladies in the back room and as I was introduced my eye went straight to this bag! It's made from my Scrap-bags Hexagon Block Bag Pattern. This is Ruth Ann R the recipient of this little gem. It was a gift from her cousin, Jane R. of Estes Park, Colorado. 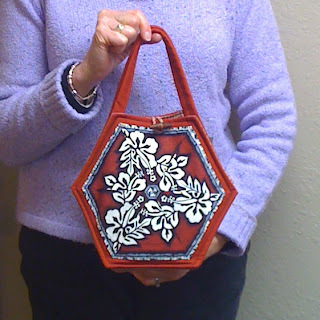 Ruth Ann said she really likes the bag and that it's functional and holds a lot for it's size. I like how her cousin customized it with a toggle button rather than the snap. It's a nice touch! Ruth Ann it was so nice to meet you and thank you for letting me take advantage of the photo op! The Scrap-bags Hexagon Block Pattern is available in your local quilt or fabric shop, or as a downloadable pattern. Such a sweet surprise to see your blog today as I am a wisconsinite and was tickled pink to see your post about wisconsin. Very inspiring blog, would love you to visit mine some day.